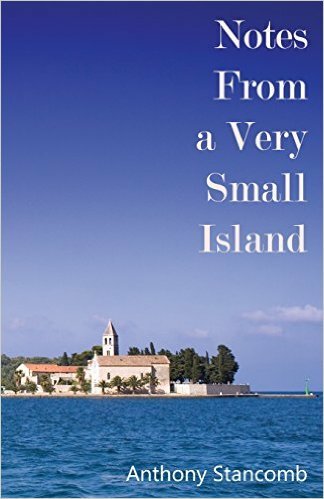 There's a gentle charm to Anthony Stancomb's Notes From A Very Small Island. 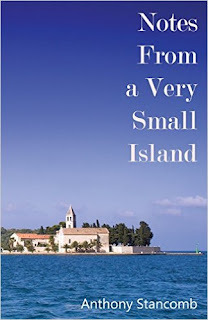 The book charts the experiences of the author and his wife, Ivana, on the island of Vis, in Croatia, touching on the changes in the wake of the war there and ahead of the country's accession to the EU. Politics is, without doubt, a key part of the novel, but only in the sense in which it touches on the life around Stancomb. For the author is a keen observer of the daily details of life, from the fear that comes with shelling by artillery to the mellow pleasantness of life around the cricket pitch. Stancomb paints the lives of those around him in warmth and detail, from the radio host to the frustrated delivery man, the crowd at the bar who welcome a fellow drinker to the politicos who are wary of foreigners. What emerges is a series of vignettes, each illustrating some part of the couple's life on the island of Vis. Amiable and delightful, it lights up the Mediterranean landscape in which they live, showing the real life and detail that sits behind the picturesque facade. This is one of those books that would reward not so much sitting down in a single sitting to read through it, but simply having on hand to delve into for a chapter now and then in the manner of a James Herriot book. It's a travelogue to illustrate the quirks of discovering the ways of life in a new world - and one to bring many a smile while reading.